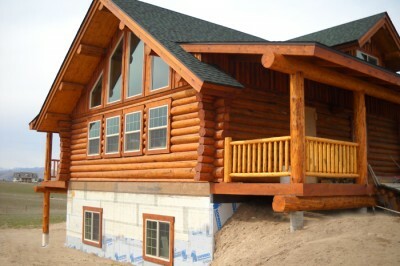 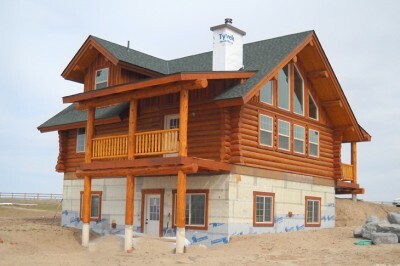 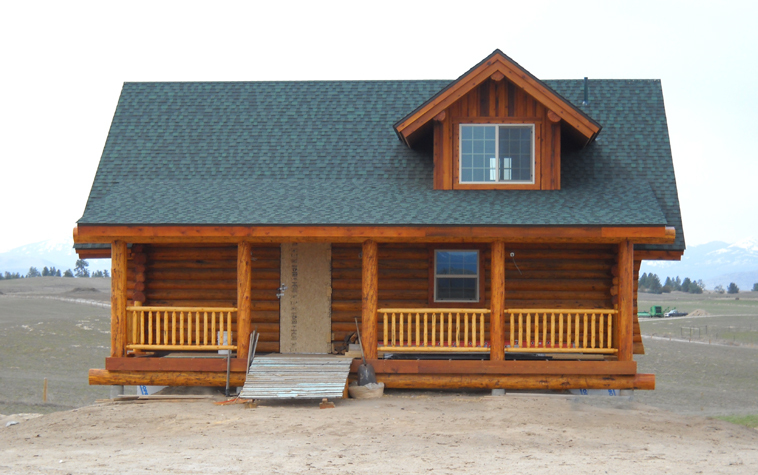 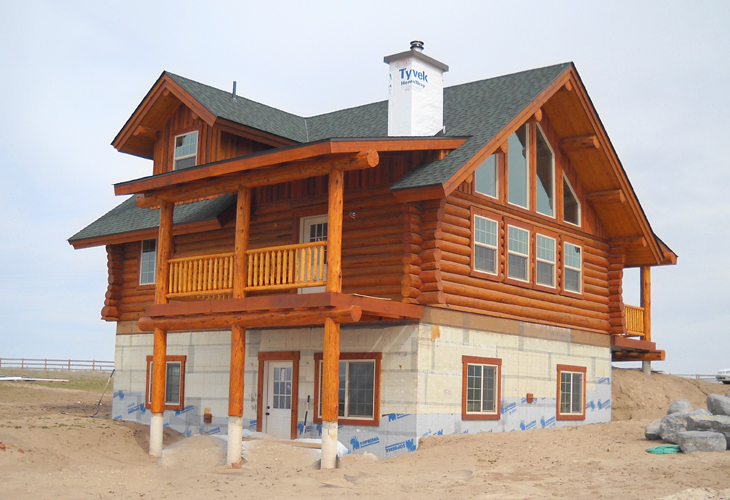 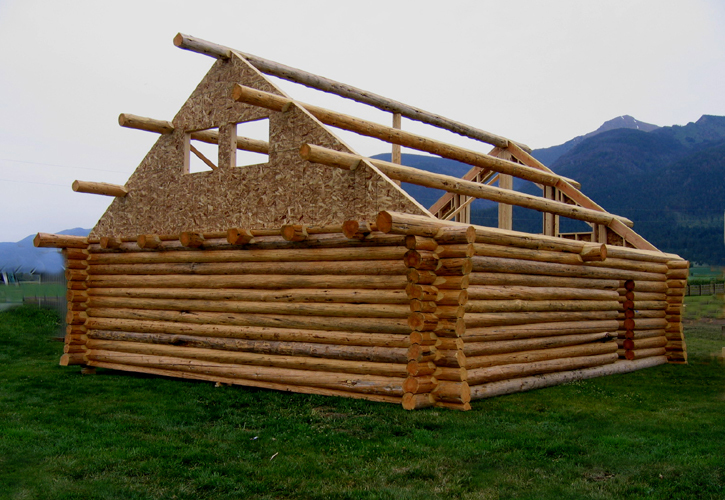 Why do we love this simple log home from Mission Creek Log Homes ? 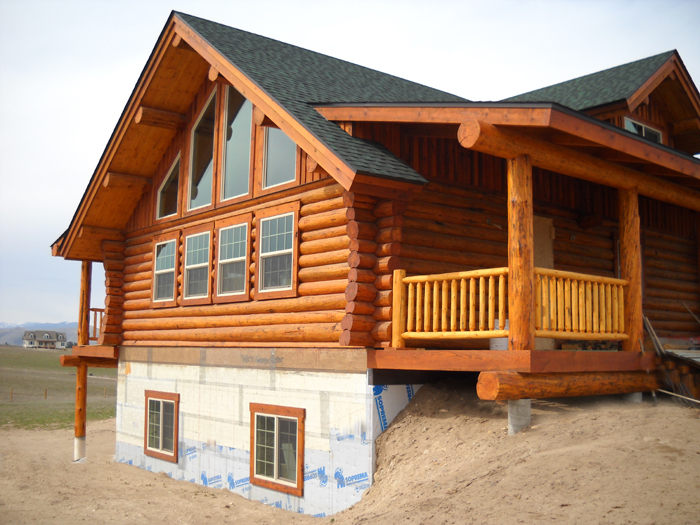 Its very simple - a small log cabin kit, placed on a full cement foundation, creates a 3 bedroom home with the 1st floor devoted entirely to the kitchen and a great room. 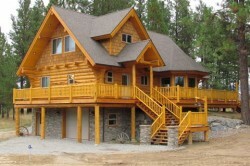 Please note how much larger this great log home looks by simply adding balconies. 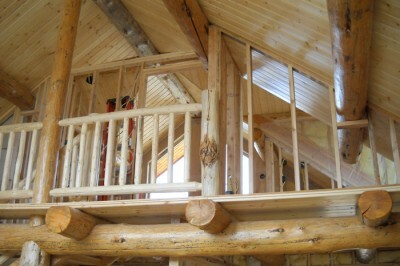 A dormer on each side of the roof allows a full bath and a larger mastersuite on the 2nd floor. 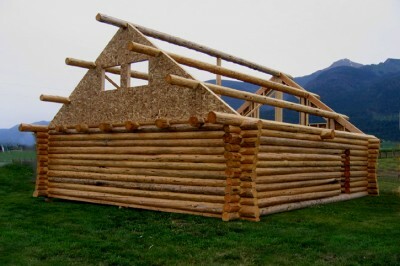 Not all log homes need to be large or cramp. 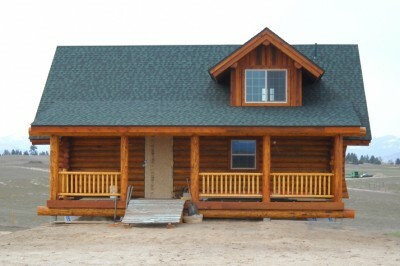 This particular log home is situated on a small acreage with a couple of horses in a field below. 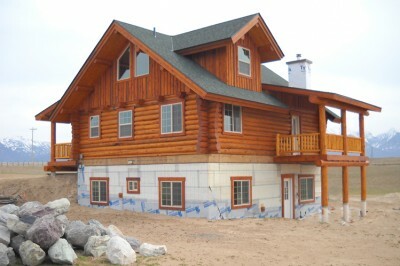 We are hoping to have completed photos soon. 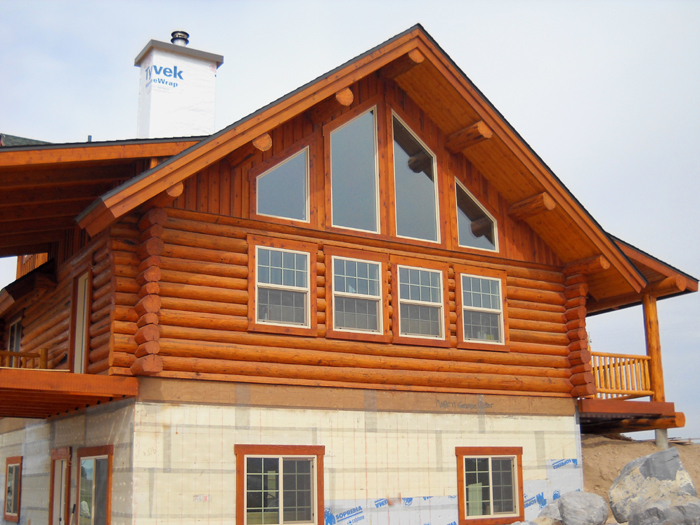 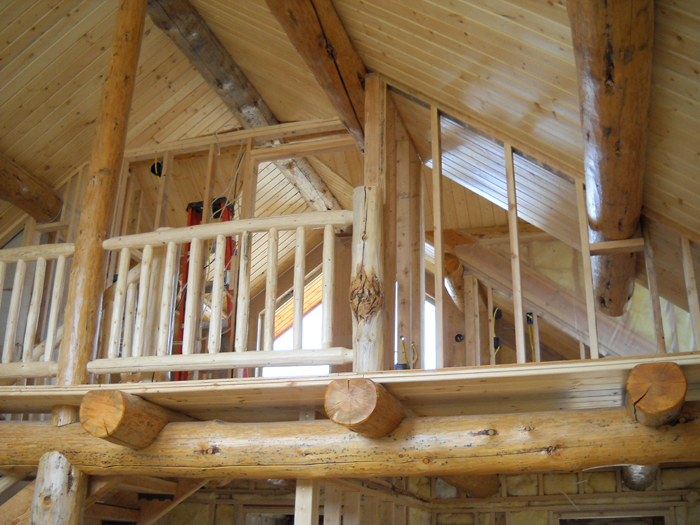 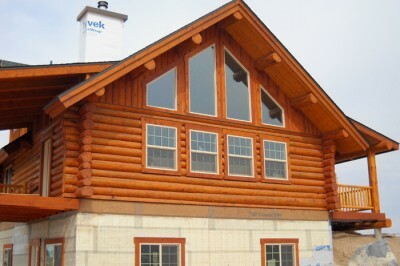 Mission Creek Log Homes is able to custom design the actual living space to meet your needs. While this particular home is 3 fairly large bedrooms, it could have easily been made with a second master bedroom, and a media room in the basement. 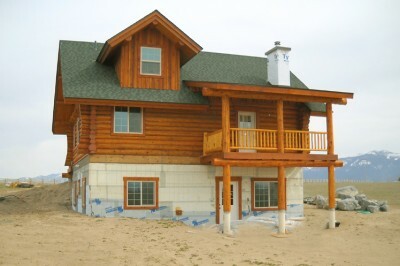 This home has a master bath on the 2nd floor, a half bath on the main floor, and a combination full bath/laundry room in the basement. 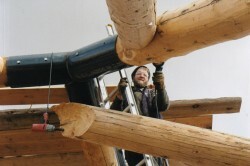 A professional with experience we could trust to make the right decision without cutting corners.